WinOptions Promotions – Lucrative Rewards Now Up for Grabs! 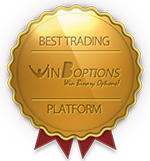 WinOptions has taken the online trading world by storm. Through our high payouts, traders are more determined to have their trades finish in-the-money. However, we know that high returns are not enough to satisfy our traders’ needs. After all, it’s in line with our goal to make binary options trading a profitable vehicle to make money online. For that reason, we have designed a unique promotion program that lets traders maximize their profits through a range of enticing bonuses. WinOptions promotions showcase a wide selection of rewards and bonuses that will make your trading session exciting and dynamic. Most of these promotions are profit-driven, so everyone gets an equal chance to boost his profits on top of his winnings. What’s the latest buzz in our Win Options promotions? Here’s a nice welcome gift for newcomers! For a limited time only, all newly-registered traders will get $88 worth of free trades! 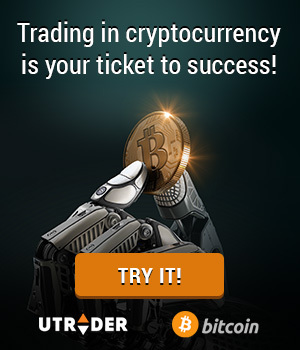 Just fund your account with $200 and you will receive $88 in free trades. Free trades are trades that are 100% insured. In the event your trade finishes out-of-the-money, the invested amount will be fully credited back to your account balance. Thus, the losses will not reflect on your account balance. On top of our risk-free trade offer, you will also be eligible for our deposit bonuses. Should you meet our Win Options minimum deposit requirements, you will be qualified for our match deposit bonus offer of up to 100%. Deposit $350 and receive $210, make it $500 and you will get $350 or deposit $1,000 and receive a mind-blowing $1,000 worth of free cash bonus. Traders who shell out higher deposit amounts will receive a whopping cash bonus of up to 150%! Enjoy these great WinOptions bonus offerings to boost your account value by up to 150%. Furthermore, you may participate in our limited offer for multiple times, provided that you comply with the required investment amount. Your bonus will be visible in your trading account by the following business day. Please be advised that we always update this section, so make sure to check our WinOptions promotions page for the latest bonuses, offers, perks and giveaways.